I have just read about Qantas latest promo event in the heart of Sydney CBD. I happened to be walking past Customs House that day and picked up one of the leaflets handed out at the tent where the sand sculptures (v.beautiful BTW) were exhibited. 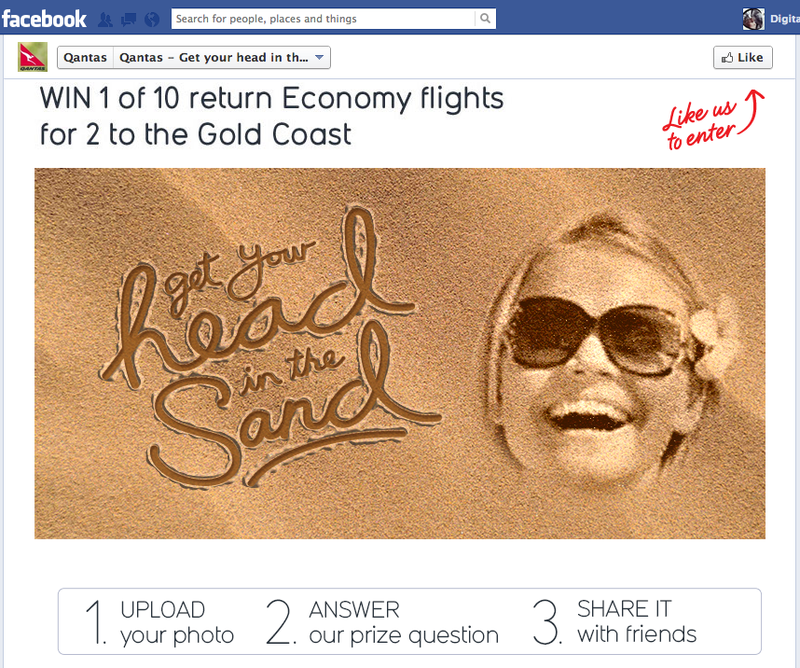 The promo includes a Facebook competition which you can enter only if you are a fan of the brand. 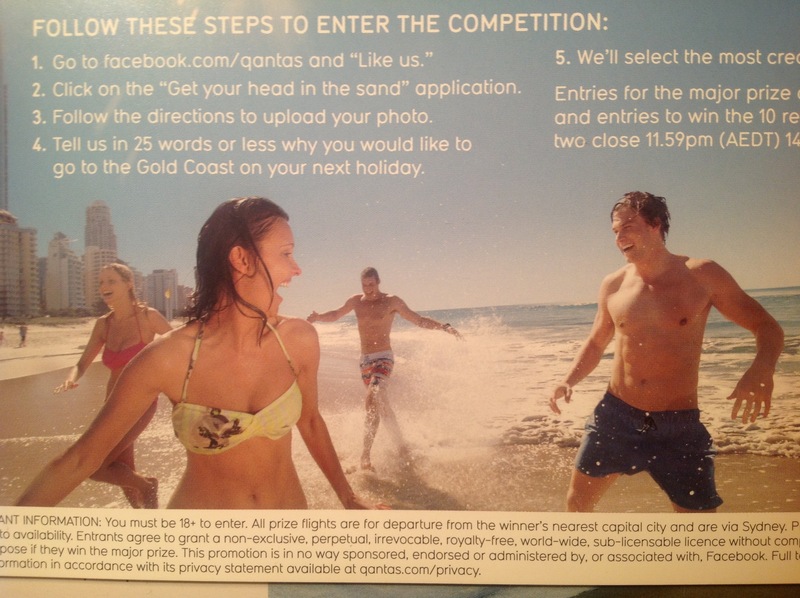 The first thing that’s requested of you to be able to enter the competition is to like their Facebook page. In other words: Give me your like (and with it the opportunity to broadcast 24/7 to your newsfeed) and I will give you the remote possibility of winning something. This one line made me want to unlike that Facebook page instantly. Yet this has become common practice amongst advertisers. To make it worse, the next step requires you to grant permission to an app that will post 24/7 to your timeline. So both timeline and newsfeed are now taken over (slightly intrusive to put it mildly). In my view, the act of giving a like to a brand should be a genuine act of advocacy for it to generate *enduring* value for the brand (be it awareness, WOM, sales etc) – not obtained via some form of disguised blackmail. 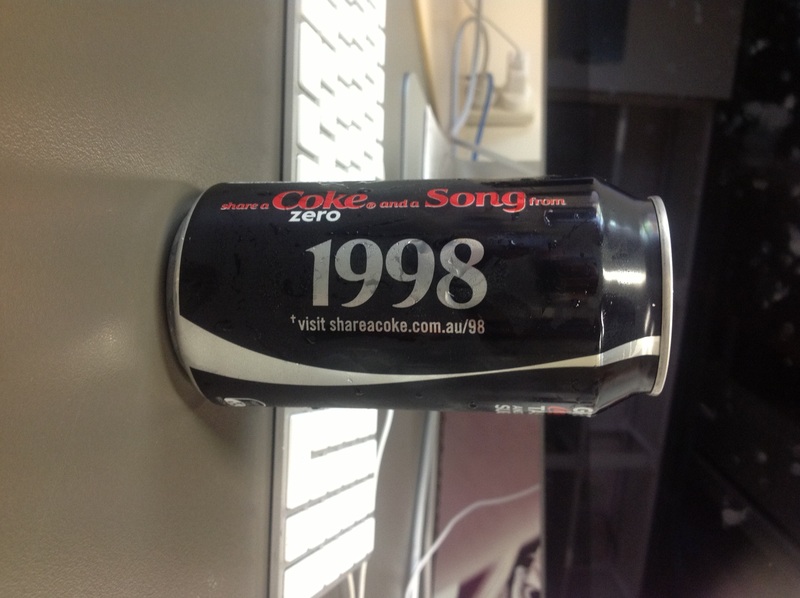 Coca Cola Australia has close to 1 million likes (and 60M globally) vs 310,000 for Qantas (globally…) – what does that tell us? 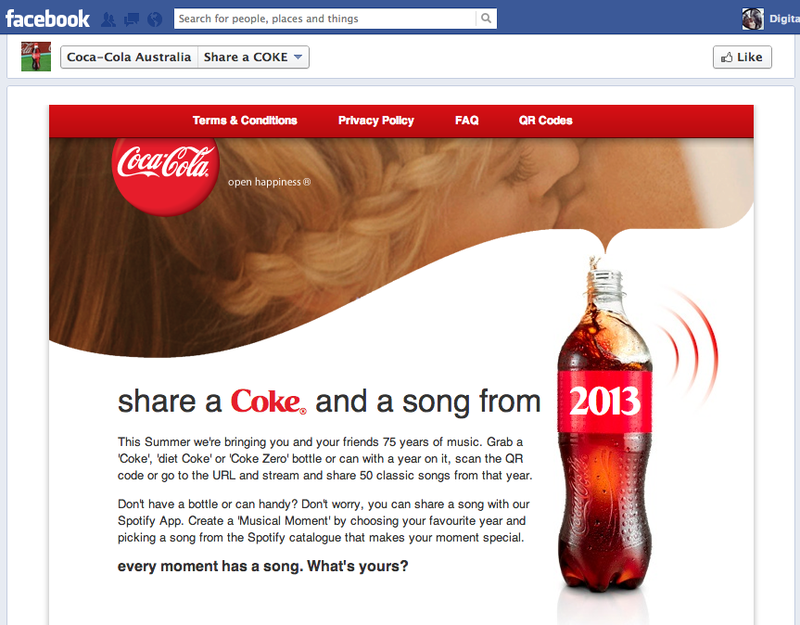 That Coca Cola unlike Qantas know a thing or two about social media and how to interact with their audience. Further, you can unlike a page as fast as you like it (or after entering the said competition). And thank God (or Facebook) for that. Lastly, I have just come across some telling stats from Pew Research Center’s latest survey that just reinforce how damaging the “like me please” approach is – with irrelevant content being the #3 reason for US Facebook users taking a break from the social network. No wonder – if I am forced to like most advertisers out there to be able to enter an online promo, then I will be taking a break soon too. Instead of spending money on bribery campaigns why don’t they invest in their existing base? Qantas has such a rich database – most of who they just ignore. Instead of targeting existing customers with relevant comms (think about it – they know when and where we travel, our professions, where we live…) they continue to invest in campaigns to promote to those who will probably never care. As a loyal Qantas customer I haven’t received one letter or email and certainly no acknowledgement at check-in (an upgrade – highly unlikely). Surely it must be cheaper to increase value of existing customers than acquire new? Certainly going to be cheaper to retain existing customers than win you back.